Rite Rate has been an affordable 24/7 plumber, heating and air conditioning company in Passaic, NJ for over a decade. We pride ourselves on offering air conditioning, plumbing, and heating repair, installation, and replacement services. Our team of expert HVAC technicians and plumbers work diligently with promptness and care. Rite Rate has 24 hr plumbing for issues like clogged pipes, sewer and drain cleaning, toilet installation, and sump pump repair. Apart from regular leaks and drips we also fix extensive issues like frozen pipes and flood assistance. We also undertake drain cleaning works using rooters, water jets, and video camera pipe inspection to warrant efficient plumbing. We are experienced in handling all kinds of toilets, sinks, showers, drains and main sewer lines. Our technicians diagnose and solve your plumbing problems promptly with our up-front free quotes with no hidden charges. Rite Rate is the most efficient air conditioning company in Passaic, NJ. We install and maintain air conditioning systems of every make and model. Apart from immediate 24/7 repairs we also undertake routine maintenance to ensure that the cooling system runs efficiently and economically. Rite Rate can also replace your old air-conditioning system with the latest energy-efficient cooling system at pocket-friendly rates. Our technicians can install and repair any residential and commercial heater. We are the air conditioning company in Passaic, NJ that you can count on! Is your boiler or furnace not working? Perhaps it’s time for heating repair in Passaic, NJ. At Rite Rate, we know how difficult it is to have a heating system that malfunctions. We make it our priority to be available 24/7 for emergency heater repairs, which makes us the best heating company in Passaic, NJ. Our technicians can repair, replace, and install residential and commercial heaters of every make and model. We even offer routine annual heating maintenance to make sure your heating system is working efficiently all year long. 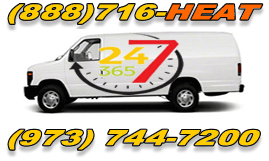 Call Rite Rate today if you need 24-hour plumbing, air conditioning or heating repair in Passaic, NJ. We guarantee 100% customer satisfaction with all our services!